If you're planning a trip to Hong Kong and are trying to find out the best area to stay, where to find the finest shopping, or the cheapest food, this guide to Hong Kong’s districts will point you in the right direction and give you the skinny on each one. Hong Kong Island is home to the business district, the government and, more importantly for tourists, the best nightlife in town. You’ll also find the top-end, Michelin-starred Western restaurants in this area and the best of the city’s sights. The poster child for a thousand images of Hong Kong, the Central district is the city of skyscrapers. Home to more high-rises than anywhere else on the planet, the streets here are flush with wealth, from big banks to break-the-bank shopping malls. It’s also home to most of Hong Kong’s best colonial sights and the wining and dining areas in SoHo and Lan Kwai Fong. Perched above the city, The Peak is an exclusive residential enclave that is home to Hong Kong’s very richest. There are a handful of mediocre restaurants and no hotels, but it’s still worth a trip here for the views. From the very top you can peer down onto the city below and the South China Sea, and on a clear day, you can see straight across to China. Causeway Bay, the best shopping district in Hong Kong, is packed with malls, mom-and-pop shops, and everything in between. The late-night buzz of the crowds and neon lights make this one of the best places to not only shop but also soak up the atmosphere. If you want to experience Hong Kong at its nighttime best, head for Causeway Bay. Once Hong Kong’s red-light district, Wan Chai's naughty reputation is on the wane. It’s a fantastic place for nightlife, along with a handful of old Hong Kong sights. Parked next to the Central district, Sheung Wan has historically been one of Hong Kong’s most Chinese neighborhoods. 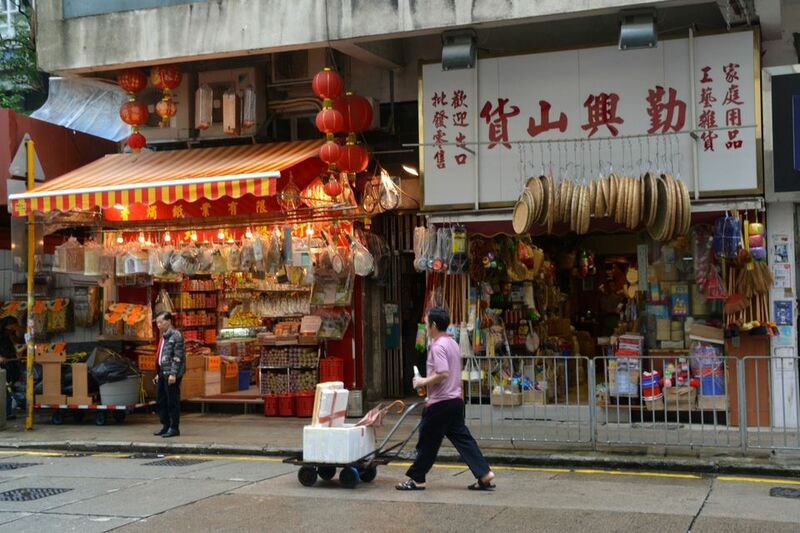 Its Chinese medicine stalls, dried seafood shops, and mom-and-pop stores gave it a distinct character. But things are changing, and with growing gentrification, you’ll now find flat white coffee alongside traditional tea and some of the hottest hotels in town. Relatively unknown until recently, the arrival of the Mass Transit Railway (MTR) has brought a resurgent interest in one of Hong Kong’s oldest neighborhoods, Sai Ying Pun. As one of the first areas settled in Hong Kong, it has a wealth of fantastic colonial buildings to see, while the neighborhood Chinese restaurants are well-established, well-worn, and well-regarded. It's just a few stops from the Central district, and you’ll also find some well-priced hotels there. Once a separate fishing village, Aberdeen has almost been swallowed up by the city, but it still retains its connection with the sea. The number of boat people in the harbor has dwindled, but they remain a powerful echo of Hong Kong’s seafaring past, as does the seafood market held each morning. Aberdeen is also home to Hong Kong’s famous floating restaurants. The original Hong Kong fishing village has developed into a popular stop on the tourist trail. It’s turned the famous market into somewhat of a tourist trap and filled up the tiny beaches, but Stanley still has a laid-back charm. The promenade restaurants and pubs are fantastic, and it’s a great way to spend a lazy weekend afternoon.